The RHS Family Fun Fest!! 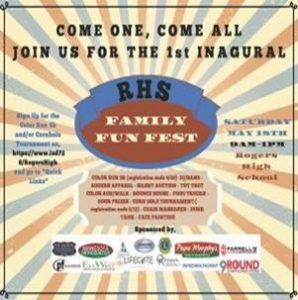 Color Run 5K, DJ/Band, Color Run/Walk, Bounce House, Food Trucks, Door Prizes, Corn Hole Tournament (registration ends 5/12), chair massages, dunk tank, face painting and family fun in your Rogers, MN Community. 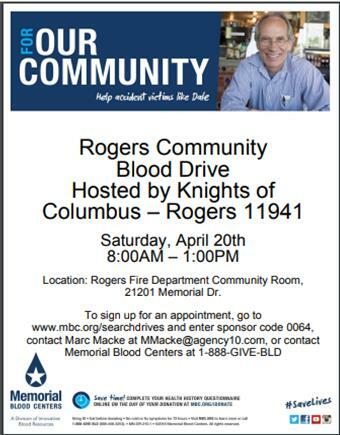 Rogers Rotarians will be volunteering along the route! Register at www.mbc.org/searchdrives. Enter code 0064.
for the tournament, or a $250 Hole Sponsor with signage at your hole, please contact Colton Buege (colton@darkenwaldinc.com) or Cheri Ashfeld (cheri_n_lee@hotmail.com). Thank You!! 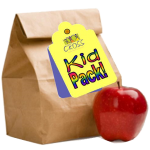 Join us on Wednesday, April 17 for the high-energy assembly line that is KidPack! 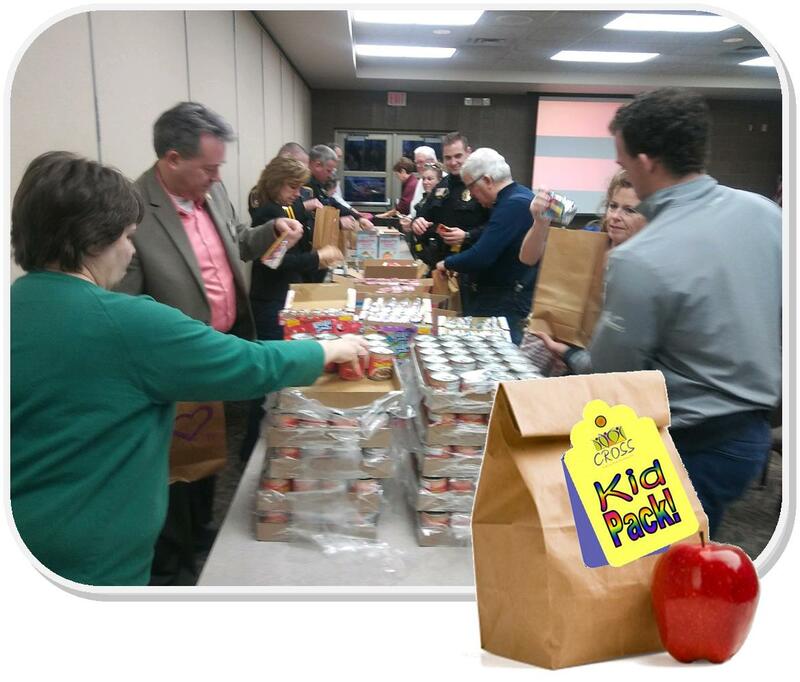 These bags of supplemental food ensure that local elementary school students don’t go hungry during the weekend. 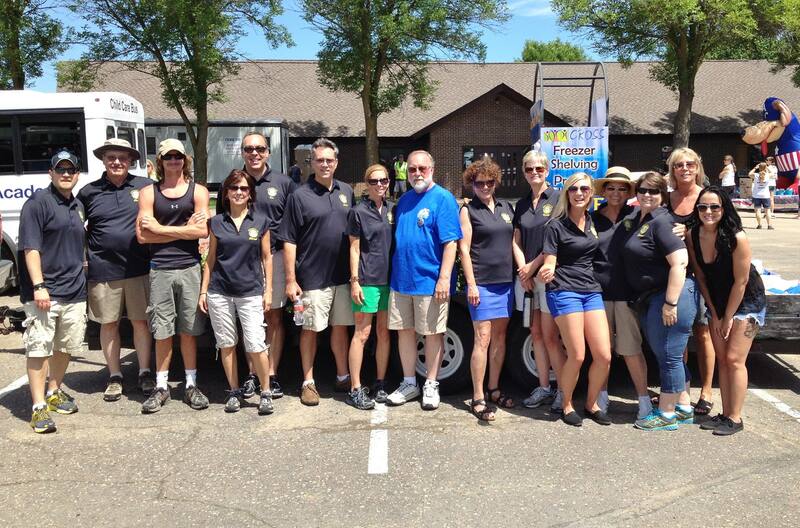 Rogers Rotary works in cooperation with CROSS Services and a grant from Rotary District 5950 to fund the program. 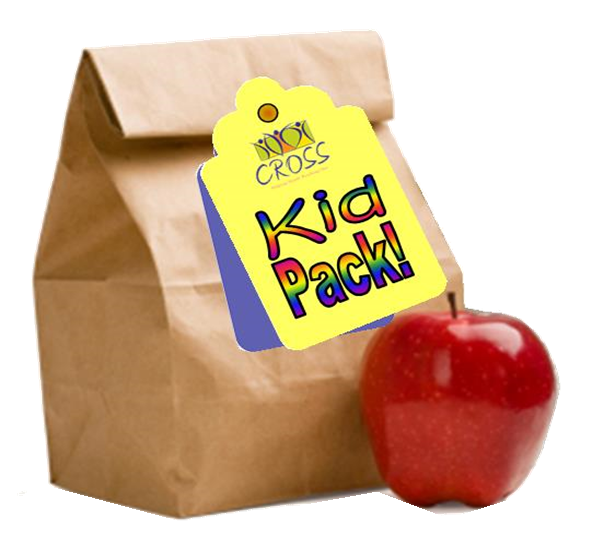 We assemble and deliver KidPacks once each month during the school year. Was your winter too sedentary? Excited to be outdoors now? Come hear Julie Stolpman share ways to prepare your body and ensure your wellness during these active months. 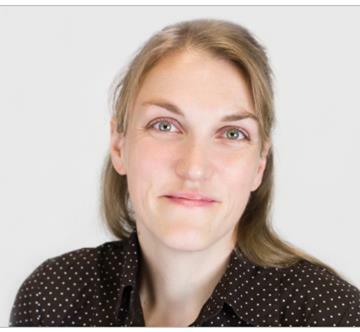 With over a decade in the health and wellness industry,Julie is a certified massage therapist, personal trainer, yoga instructor, and group fitness instructor. 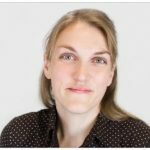 She offers a variety of health care techniques for a well-rounded approach to individual treatment. Julie owns Dimensions Wellness in Rockford. The Rotary Club of Rogers board of directors will consider new funding requests at its April 10 meeting. Several local groups have presented to the club membership and submitted formal requests. Register for the golf tournament and help support these local causes. Or visit our club meeting on any Wednesday at 7 a.m. at the Rogers Community Room and learn more about our commitment to serving the community! Join us Tuesday, June 11 — for the 2019 Rogers Rotary Golf Tournament at Fox Hollow Golf Course in St. Michael. Golf will be followed by a delicious dinner, raffle drawings and awards ceremony. Last year we raised $10,000 in donations that went right back to our community. 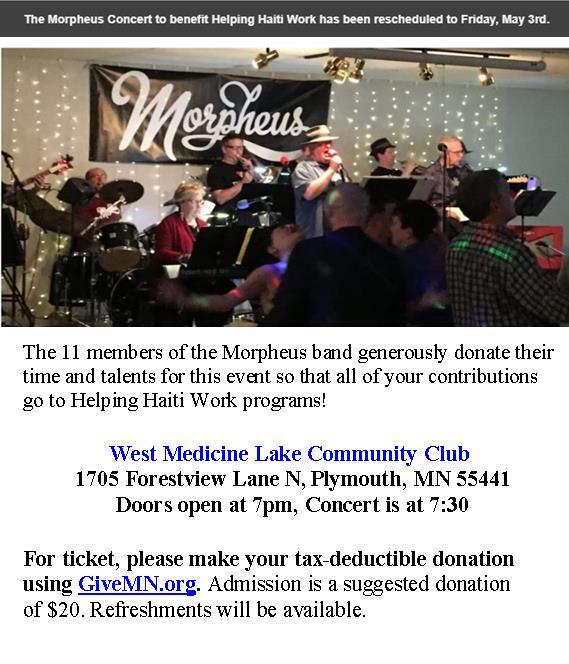 Rogers Rotary funds: Beds for Kids, Warm Heads-Warm Hands-Warm Hearts, STRIVE mentorship program at Rogers High School, scholarships, and so much more. Golf includes green fee, cart and dinner. Register here. Rogers Rotary 501(c)3 document for taxes. Would you support our tournament as a Title Sponsor ($2,500), Corporate Sponsor ($1,000) or other sponsorship ranging from $250-$500? We greatly appreciate this support. Please contact Colton Buege (colton@darkenwaldinc.com) or Cheri Ashfeld (cheri_n_lee@hotmail.com). With all Rotarians working hard toward our June 11 golf tournament at Fox Hollow Golf Course, we’re thrilled to announce that Clive’s Roadhouse (Rogers location) is our first corporate sponsor. There remain openings for a title sponsor ($2,500) and additional corporate sponsors ($1,000), all of which include significant publicity and a paid foursome in the tournament. If your business is interested in these or other levels of sponsorship, contact either Colton Buege (colton@darkenwaldinc.com) or Cheri Ashfeld (cheri_n_lee@hotmail.com). 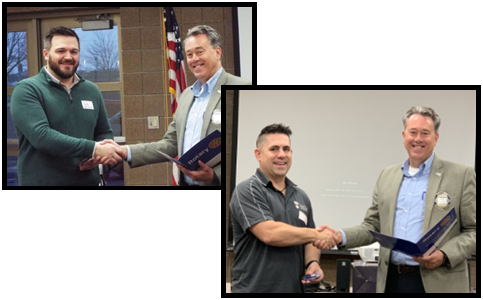 We’re excited to welcome Andy Lamkin (left) and Aaron Mueller and to full membership in Rogers Rotary. Andy is the Operations Director at CROSS Services. He is instrumental in helping us assemble and distribute the monthly KidPack food bags that supplement elementary school students’ meals on weekends. Aaron is an electrical engineer with Design Tree Engineering & Land Surveying. He and his wife, Lisa, were a welcome part of the enthusiastic Horse Game participants at Game Night.